Ste works from Monday to Friday in Rome since a few months and this is the best work so far he has got from Accenture Consulting. Way more interesting than workin for Sole 24 Ore (Italy's Financial and Businness Paper) in Milan, he is now coordinating Seat/Tim/MTV Italy productions. And this lead me too in the Eternal Town, visiting him, and having fun. 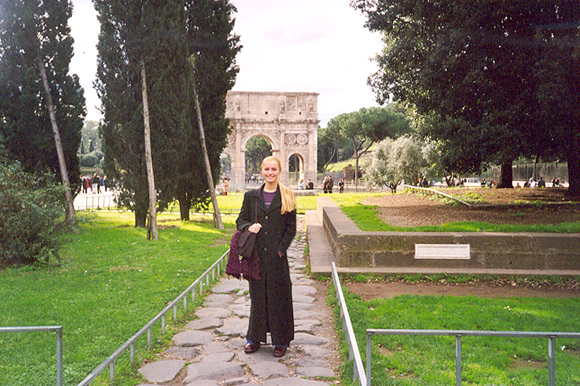 I would always take the chance to stay in Rome, and be part of such magic. One of the most fascinating thing of Rome is the amount of free cats there. 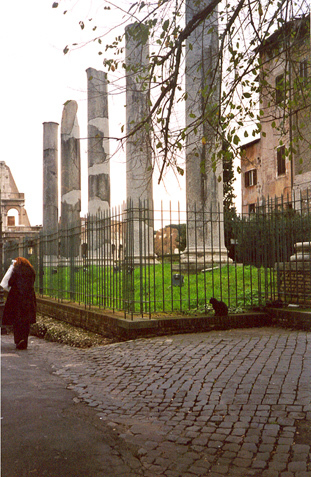 Rome has been even subject of a BBC Documentary treating cats like Lions in Savana, showing their patterns of living in the Roman Forums. This picture gives you the hint of the town, from cats' sight ;). It was so nice that I even posted it in Renderosity in the Photography Gallery.